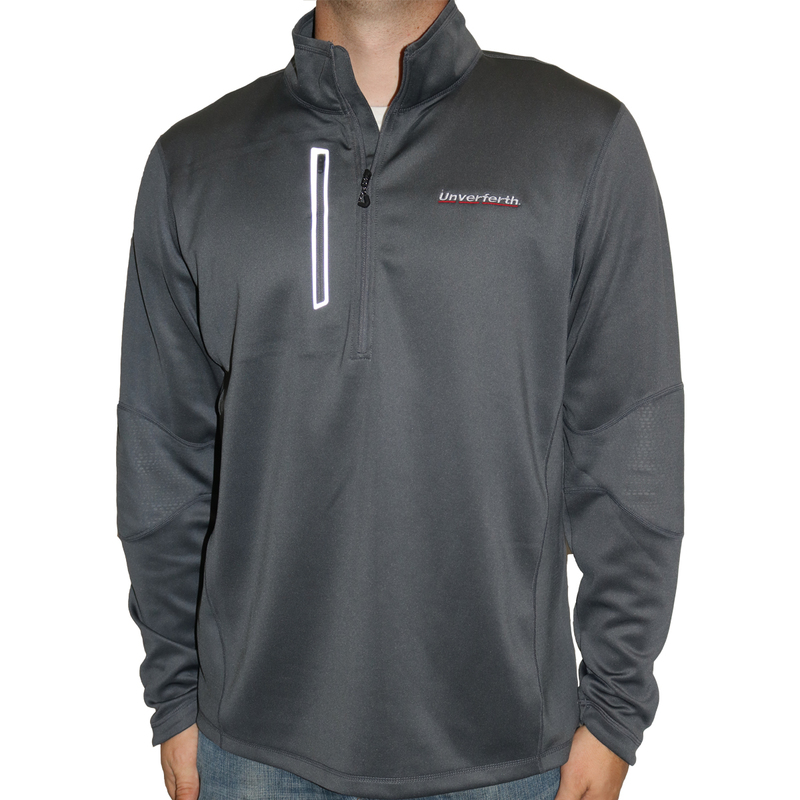 Unverferth OGIO® Lightweight Pullover - OUTERWEAR - Unverferth Mfg. Men's charcoal lightweight pullover embroidered with the Unverferth logo in sliver letters and red underline. Constructed from moisture-wicking 95% poly/5% Spandex for added stretch. 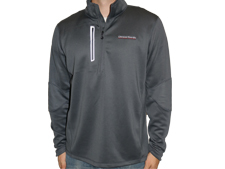 Quarter-zip front, zip-through collar, reflective weld zip chest pocket and shaped cuffs all add style and convenience.